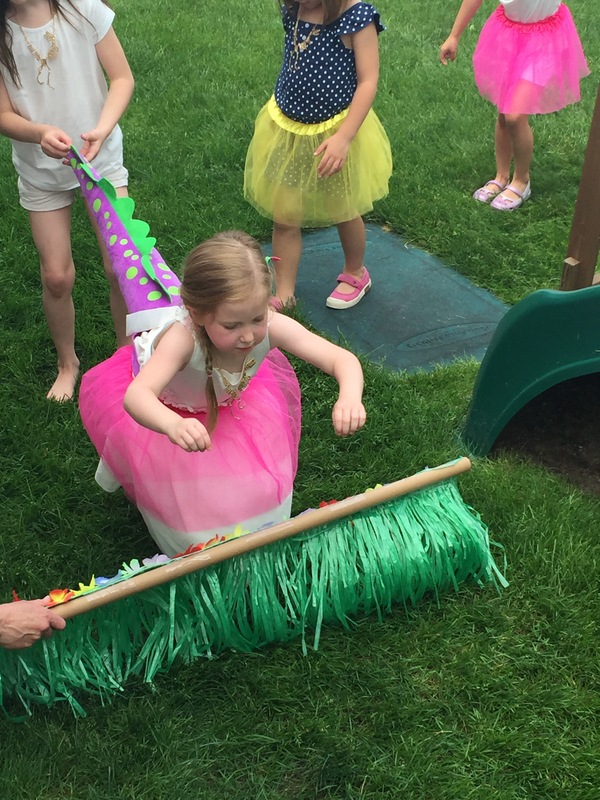 Who says dinosaur parties are just for boys? 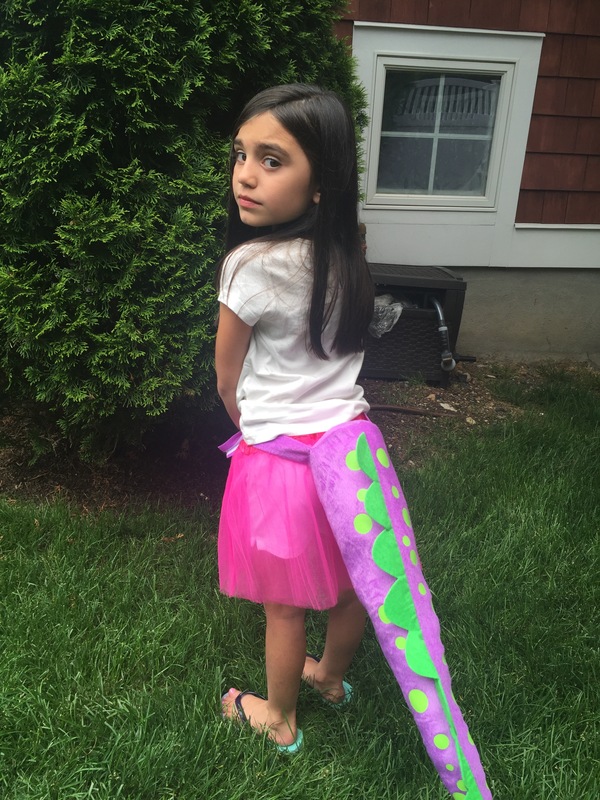 I was now on a mission to create a girly dinosaur party. 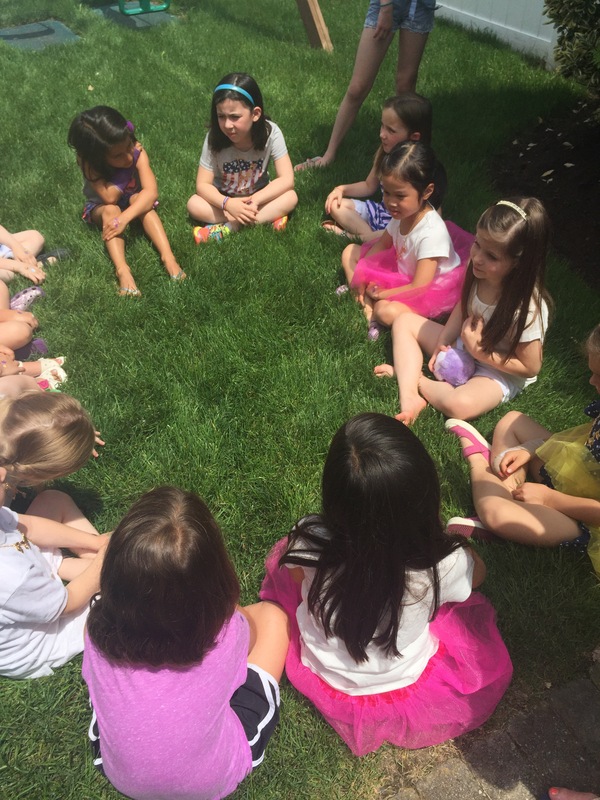 My other two daughters had tea parties at age 5 or 6 and I didn’t want the tea party window to pass Molly by. 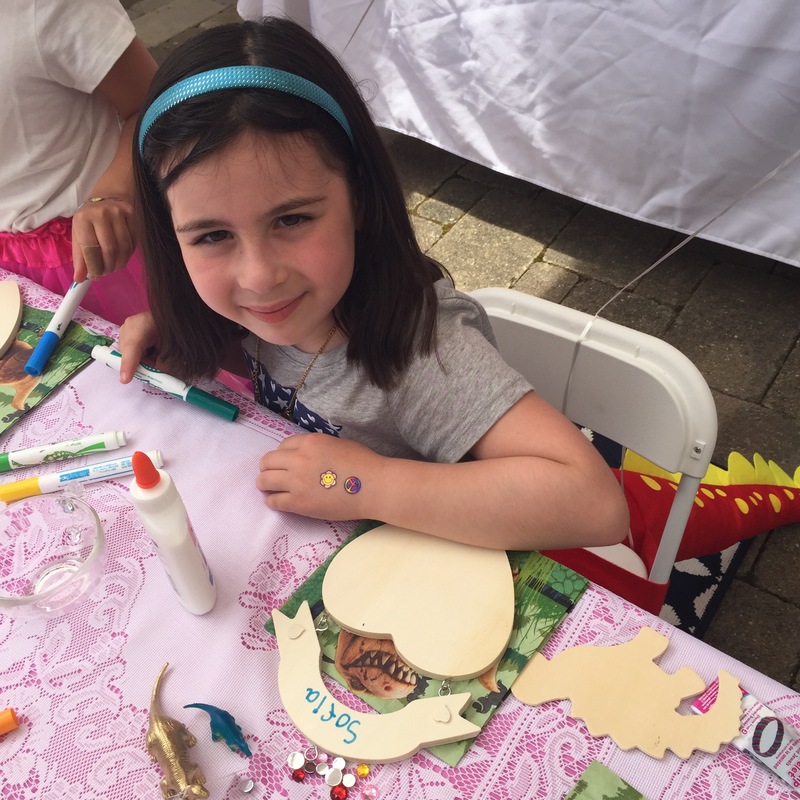 That’s how the Tea-Rex themed Birthday Party was born! 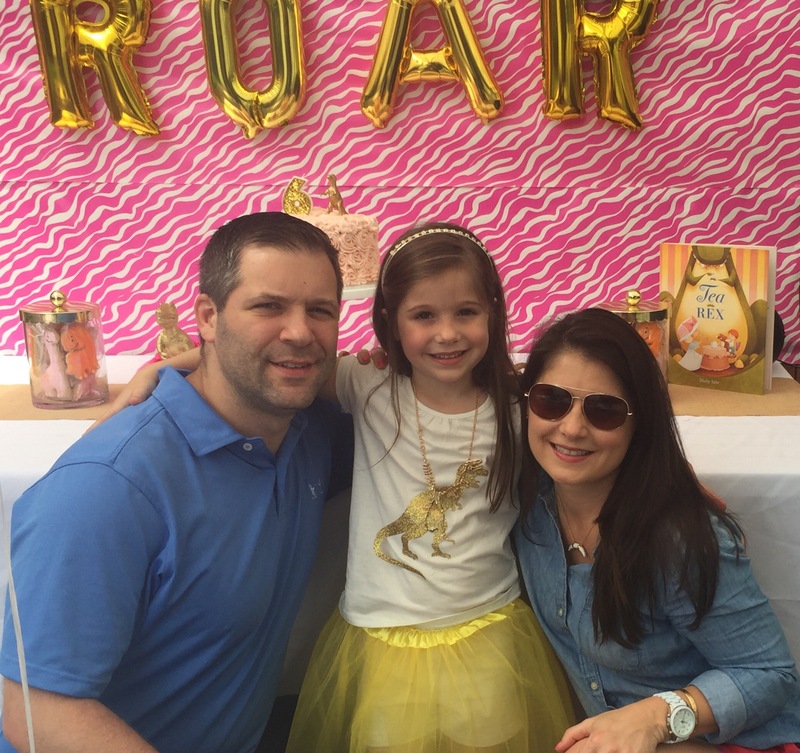 I found the cutest invitation on Etsy and uploaded it to Paperless Post to send and track the RSVP’s electronically. 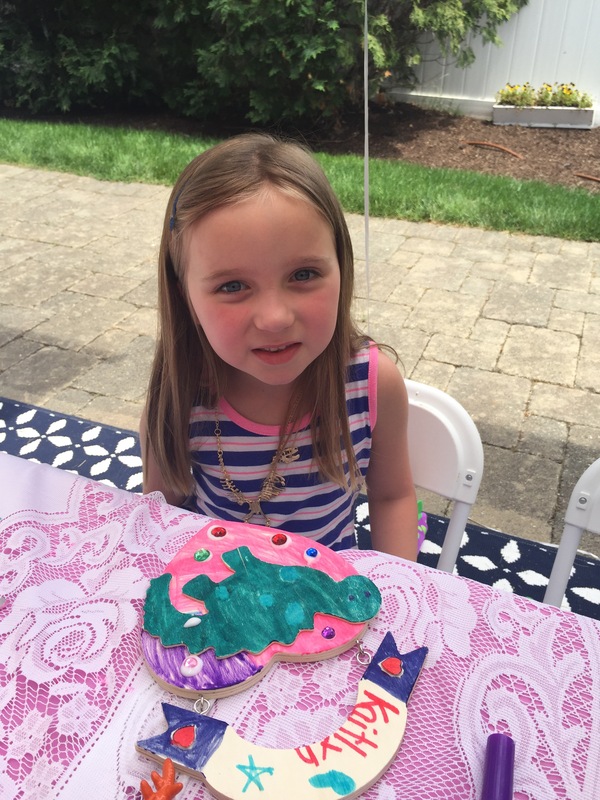 Eileen Phelan of Princess Tea Parties who I used for Madison’s Princess Tea Party and Morgan’s LaLaLoopsy Tea Party was called in to help because she always does a fabulous job. 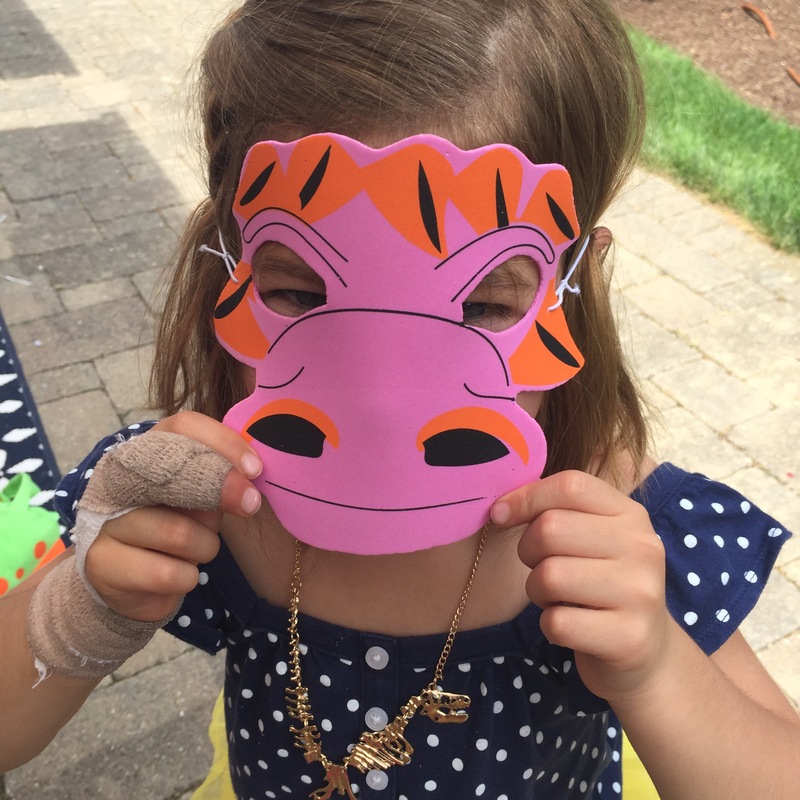 I think she thought I was a little crazy for going the dinosaur route but it turned out great. 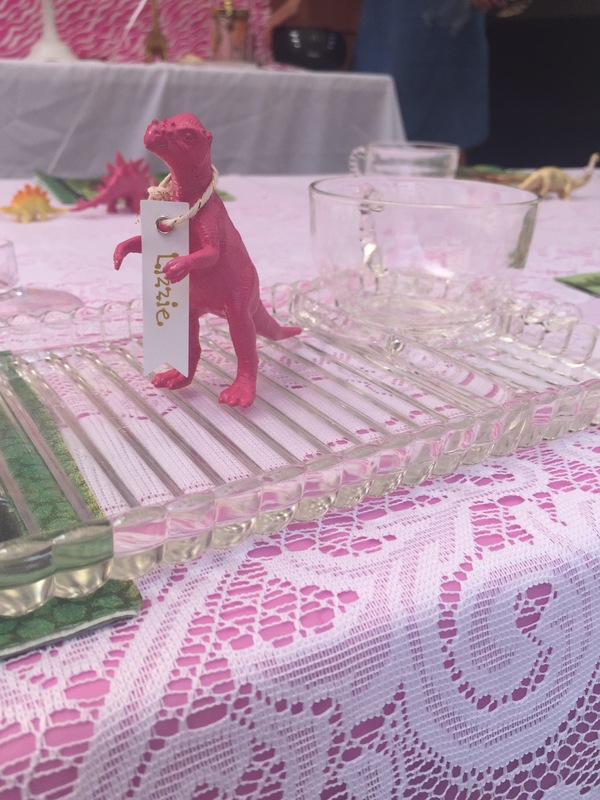 She brings all the fancy lace table cloths, glass dishes, tea sandwiches, crafts, and games. 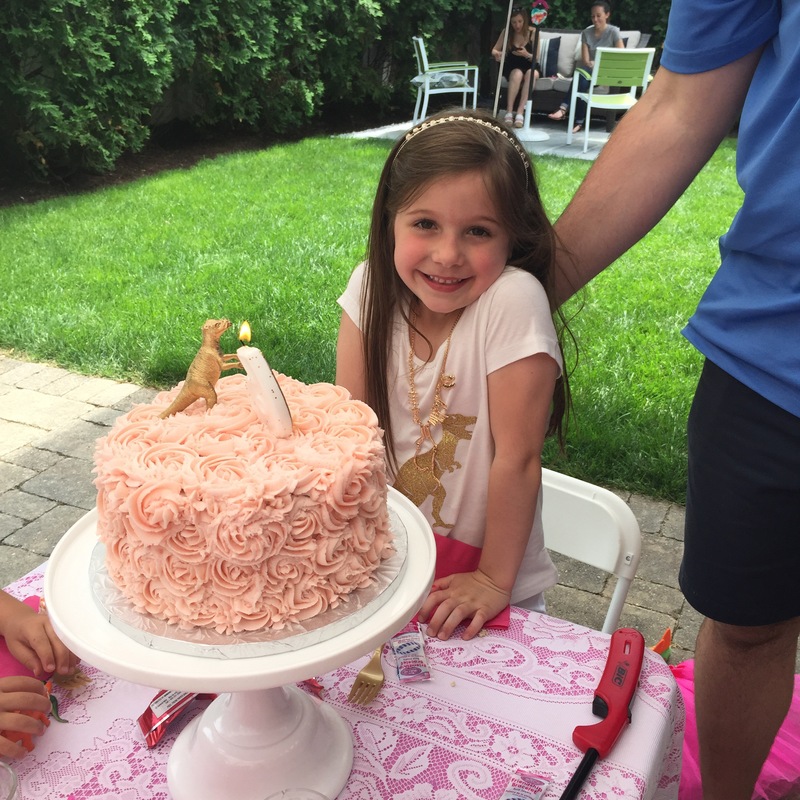 She runs the whole party- all I had to do was get the cake, favors, and do a little decorating. Easy! 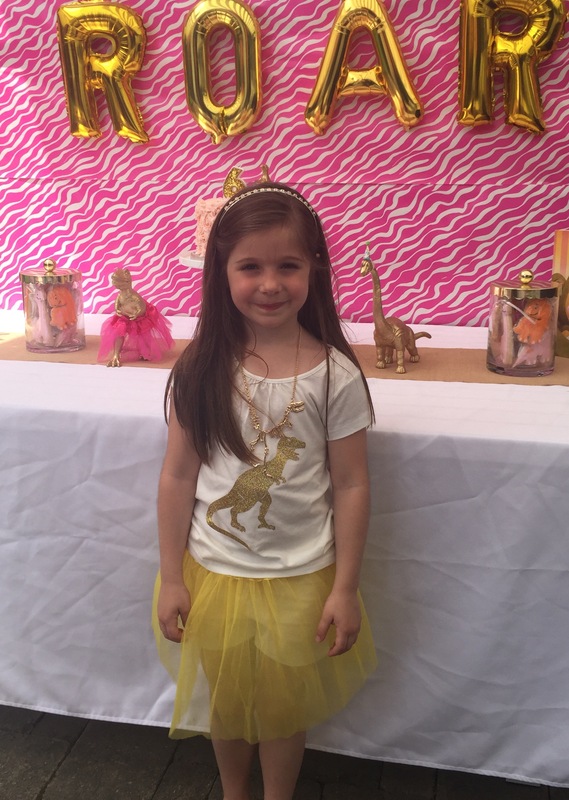 To turn this prehistoric party gorgeously girly, I used bright pink and orange accents plus a hefty dose of gold! 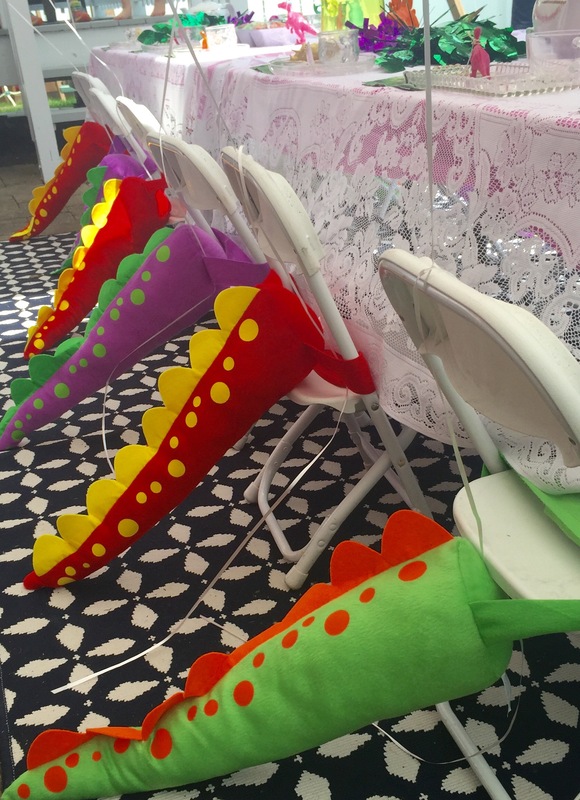 Besides the gorgeous tea party tables Eileen set, the focal point was the cake table. 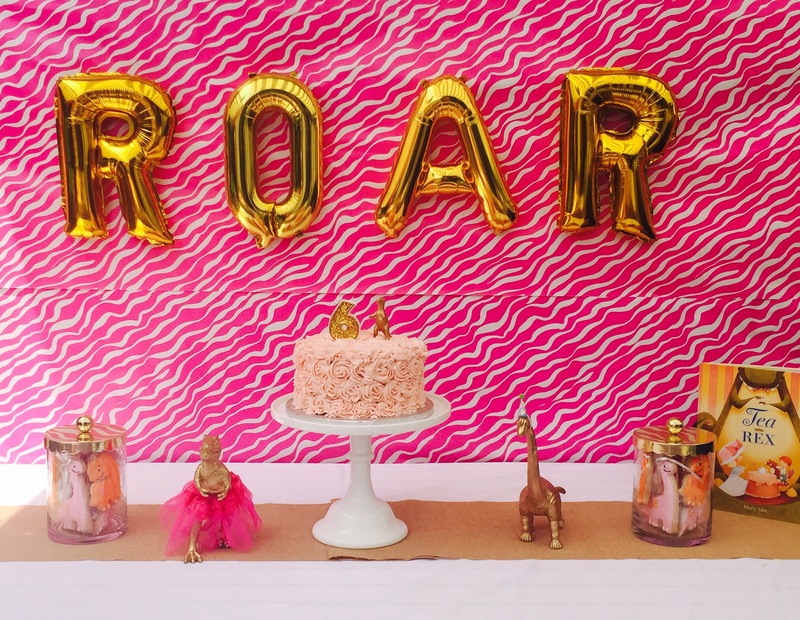 I used gold foil air-filled letter balloons to spell out ROAR and taped them to a bright pink animal print backdrop. 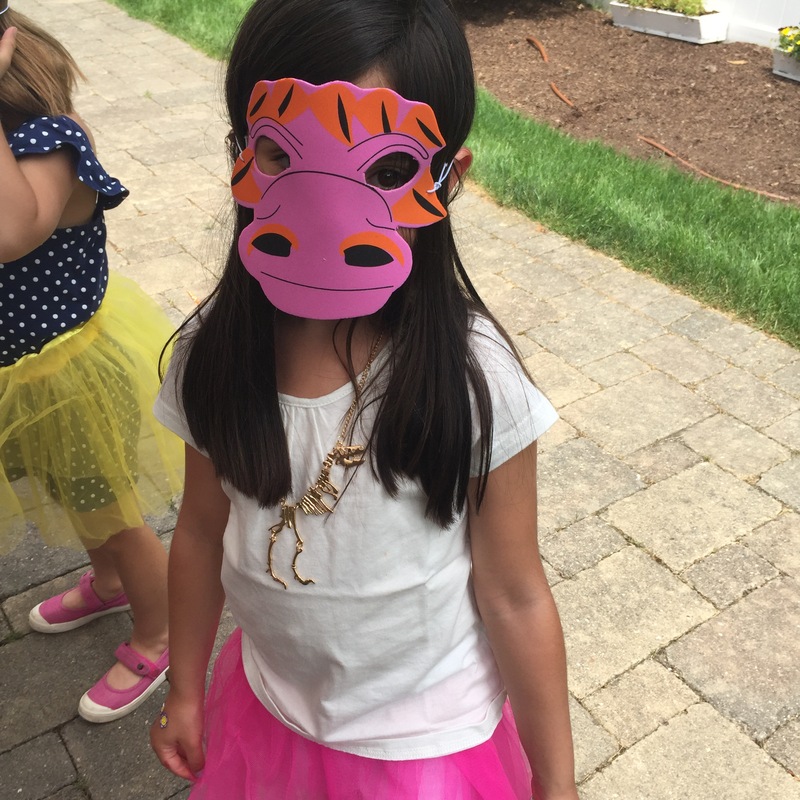 Armed with a pack of Jumbo Dinosaurs, a few packs of medium sized plastic dinosaurs, and some bright pink, orange, and gold spray paint, I gave a herd of normal looking dinosaurs a girly spin. 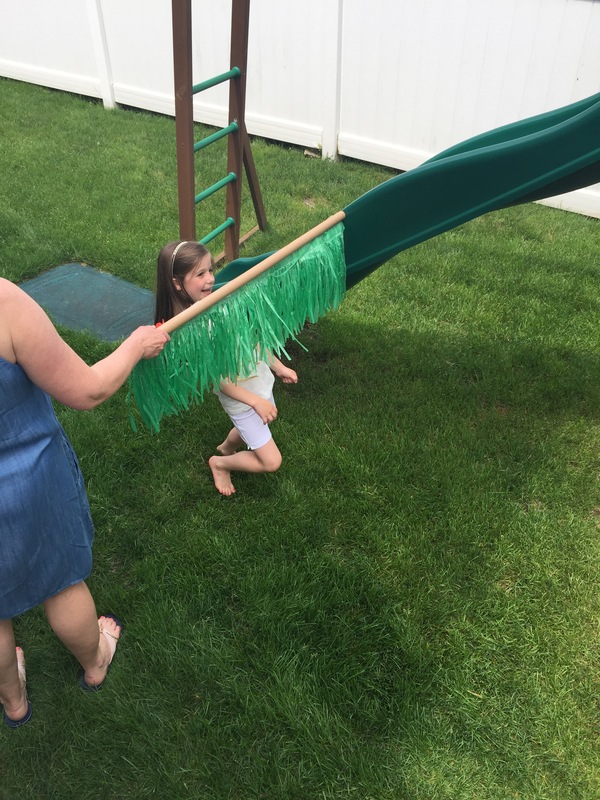 It was a quick and painless process and made a huge impact on the party decor. 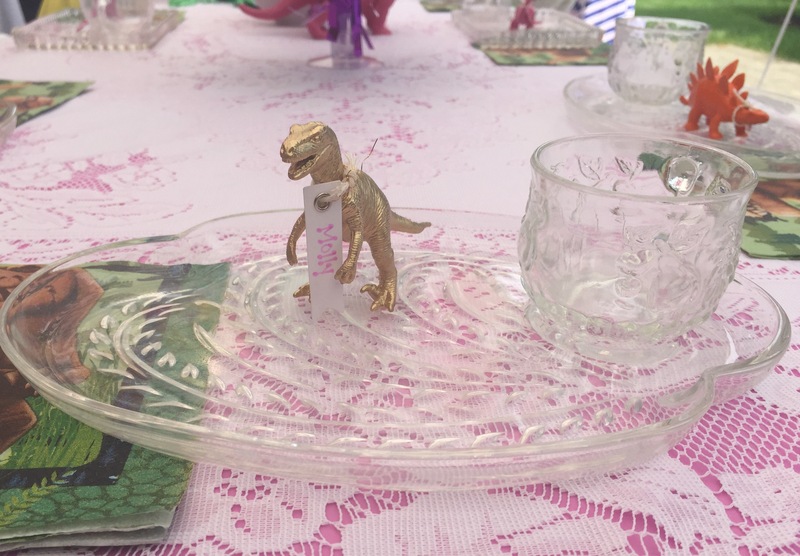 The now gilded plastic dinosaurs were used to decorate the cake table and were used as name cards for the tea party place settings. 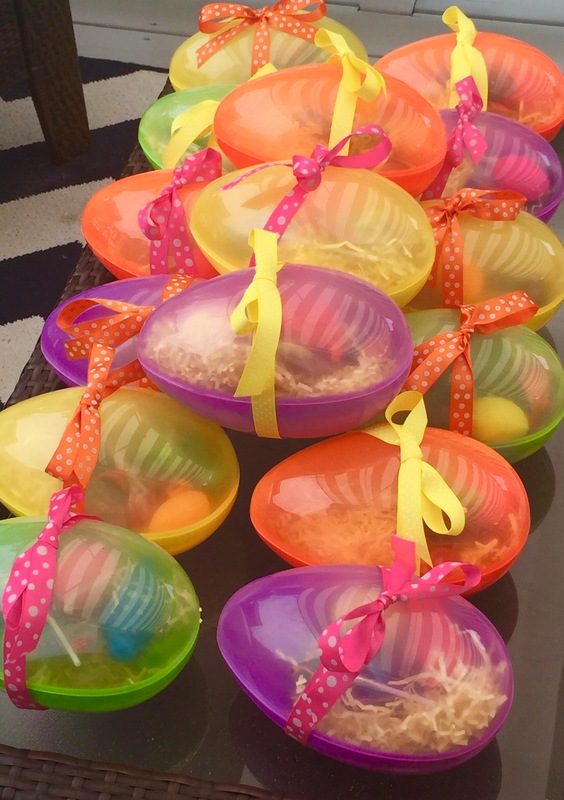 The guests even got to take them home! 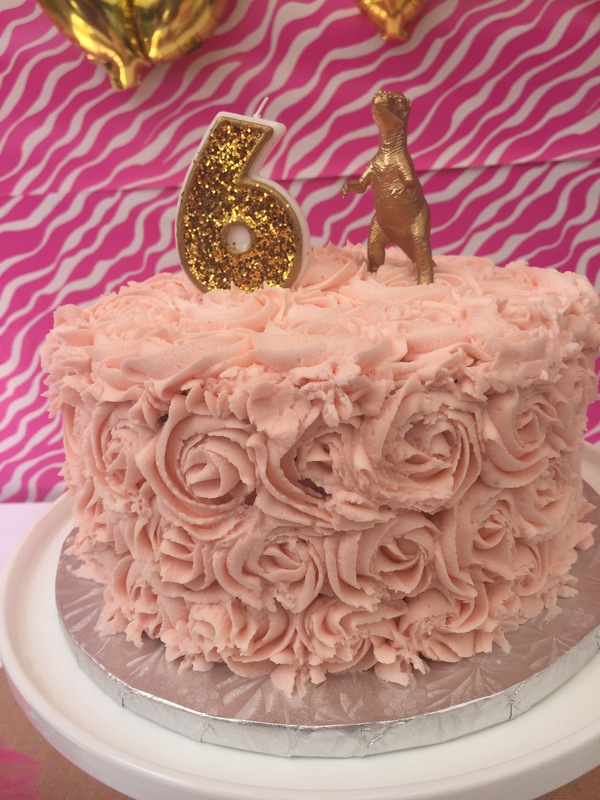 A sparkly gold number “6” candle and gold T-Rex sat atop the beautiful pink rosette cake from Frosted by Daryl. 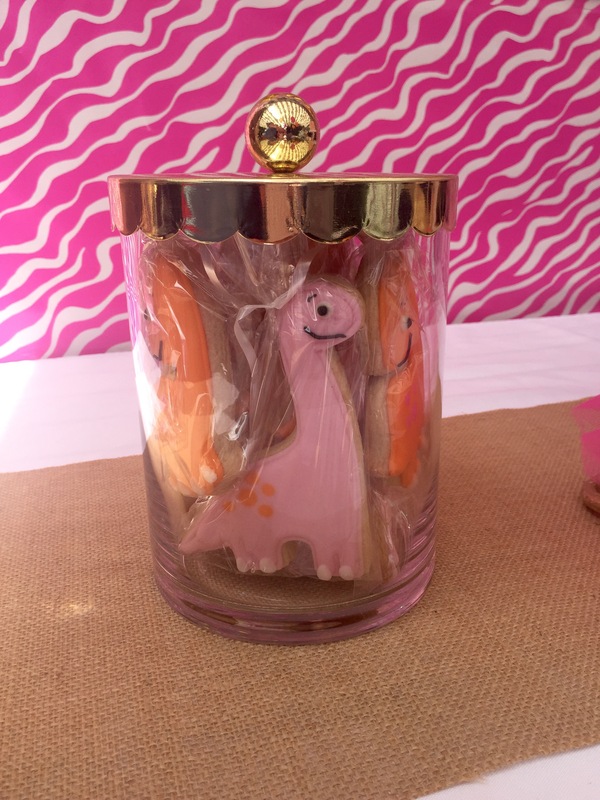 The cute candy jars with the gilded lids are from Target and I used them to showcase the gorgeous cookies made by Carrie Budke of Angel Cakes. 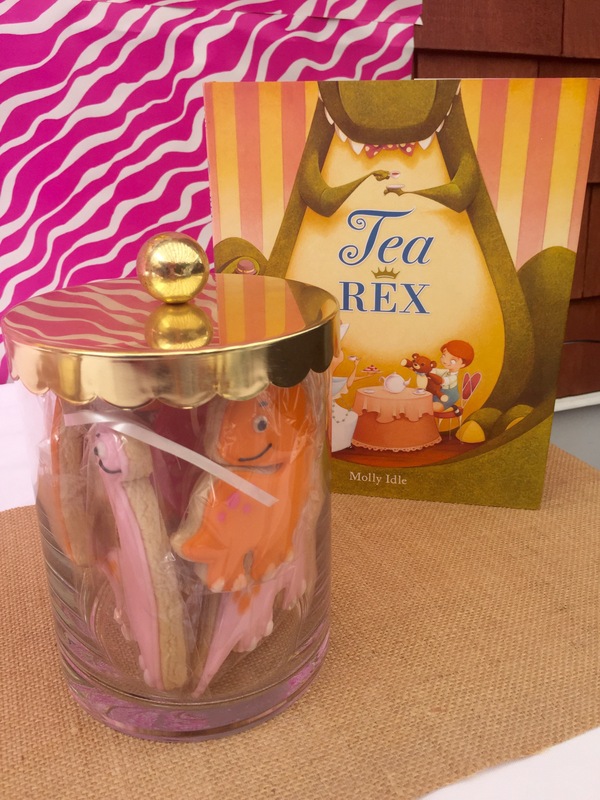 I had never seen this children’s book, Tea Rex by Molly Idle, before but stumbled upon it and knew it would be a great tie-in to the tea party. 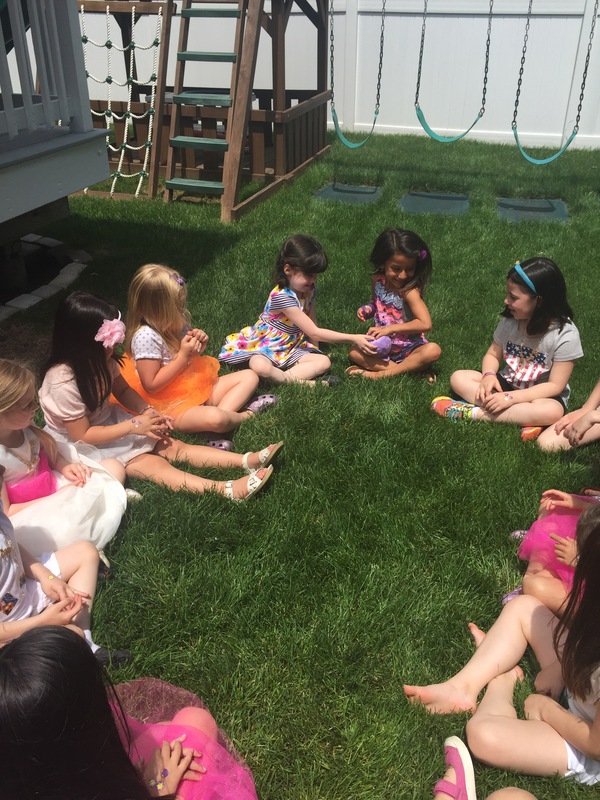 I used it on the table and Eileen read it to our tea party goers as they enjoyed tea sandwiches and sipped on “tea”. 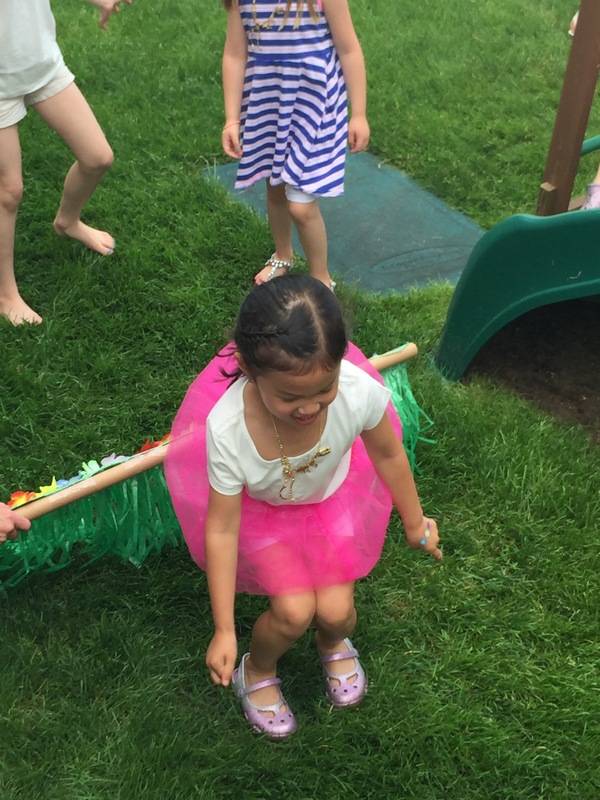 At all of her tea parties, Eileen does a princess dress up station. 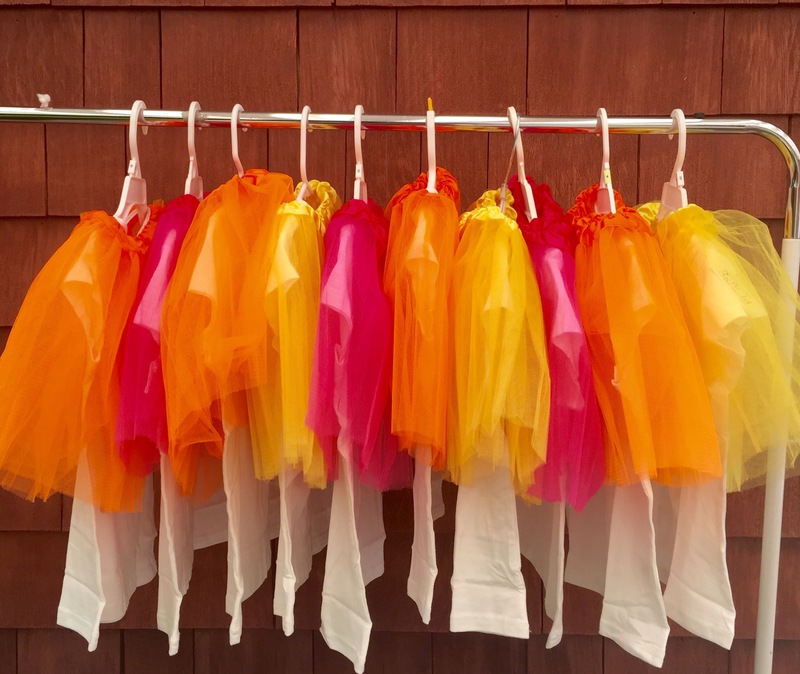 Since I wanted it to fit the theme, I bought white t-shirts, tutus, dinosaur tails, and gold dinosaur necklaces for the girls to romp around as dinosaurs. 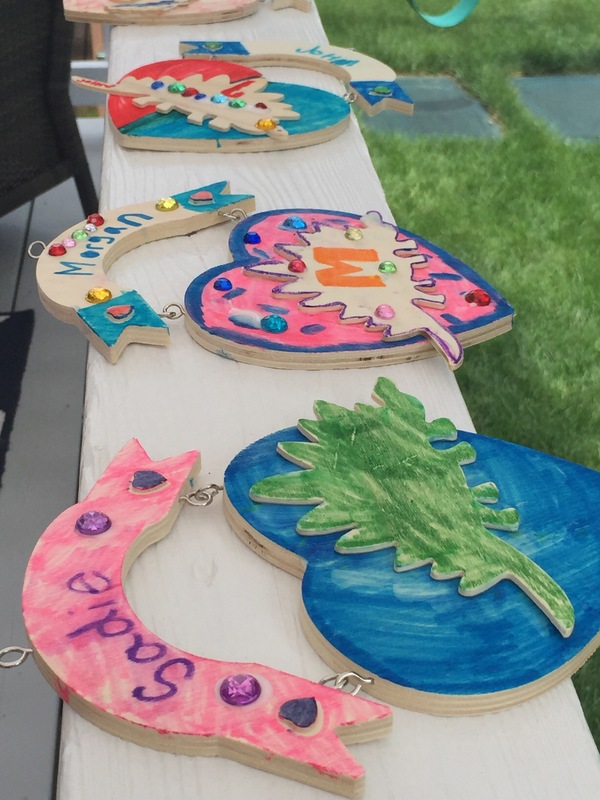 Eileen played a few classic party games and made dinosaur door signs with the kids. 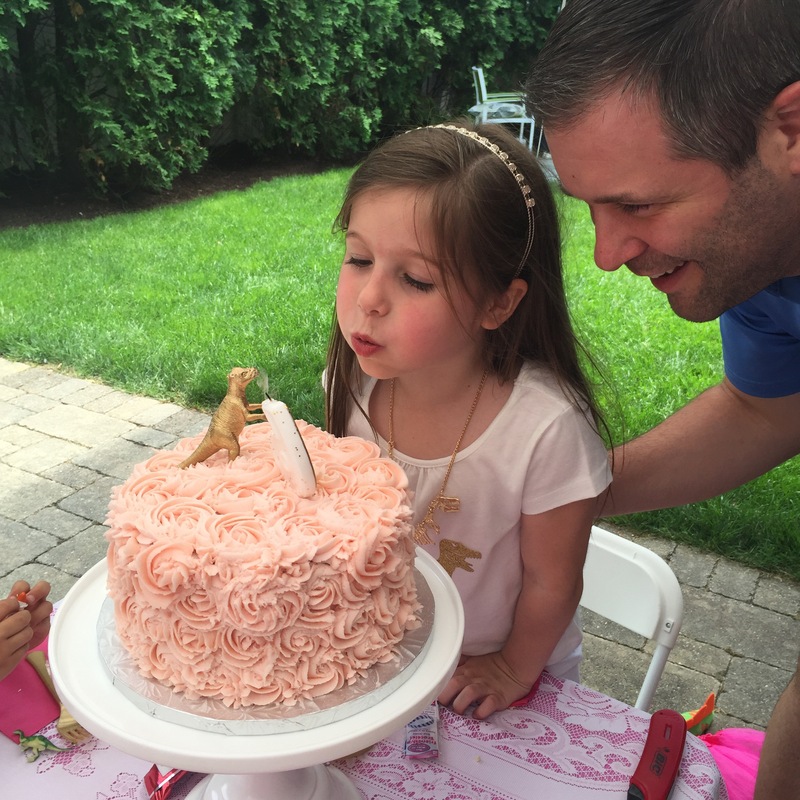 Before long it was time to sing Happy Birthday to the birthday girl. 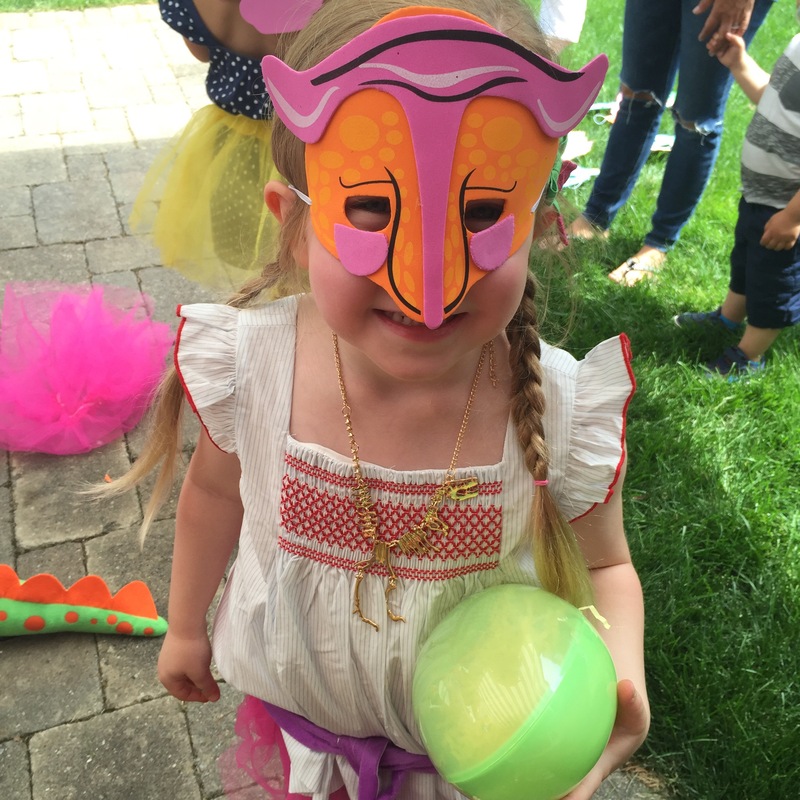 In addition to the tutus and dinosaur tails, the guests each went home with a jumbo dinosaur egg filled with dinosaur toys and candy, as well as a dinosaur mask. 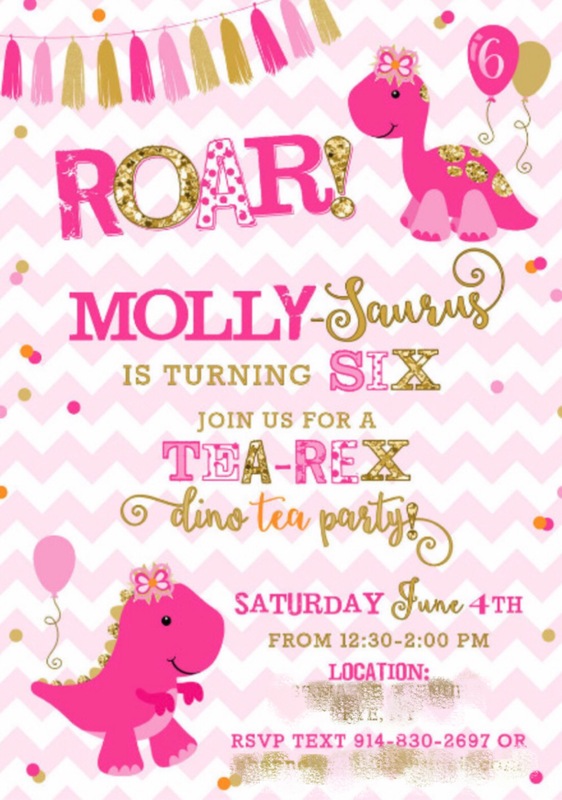 I think Molly really loved her Tea-Rex birthday party and I think her BFF did too- pink dinosaurs and all! 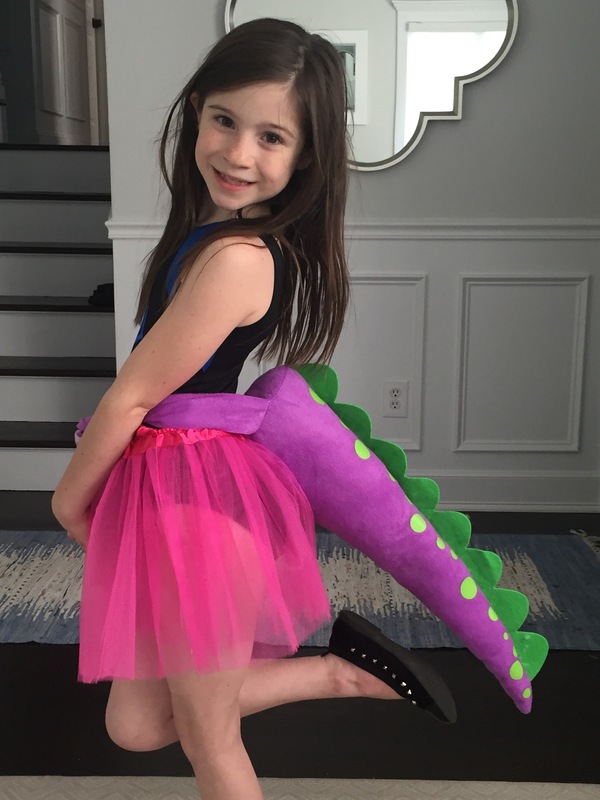 Happy Birthday, Molly! 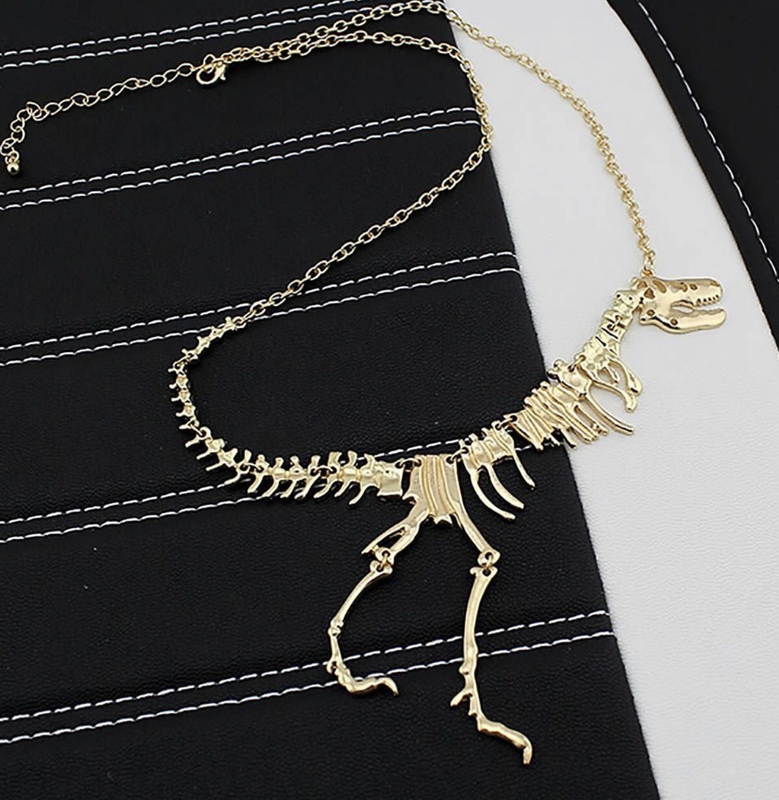 I love you to prehistoric times and back!